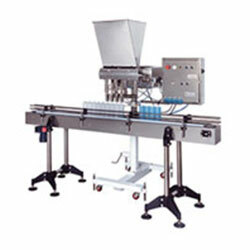 We manufacture the widest array of precisely engineered Liquid Packing Machine in India. These products are designed by our expert professional engineers who have vast experience in this arena and our highly advanced machine offers outstanding output and enhanced packaging quality. 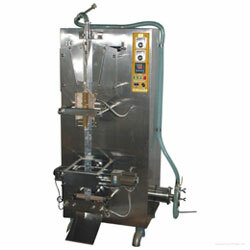 These machines are ideal for both viscous and non-viscous liquid content. The products like Water, Oil, and Milk etc can be easily packed through our advanced Liquid Packing Machine. We offer this machine as per our clients’ needs regarding the packaging process of their particular products and these helps us in attaining their maximum level of satisfaction. Our machines are fabricated in conformity to the international quality standards, using optimum quality of materials together with the cutting-edge technology. These machines have hi-tech PLC control based setups, in addition to safe operating system as well as automatic hopper level control system. Hence, these are very user-friendly and safe machine.